A new study from Media Matters found that the major broadcast networks—ABC, CBS, NBC, and Fox—collectively spent 5% less times covering climate change in 2015 than in 2014 even though by many indicators 2015 was a watershed year for global climate action. 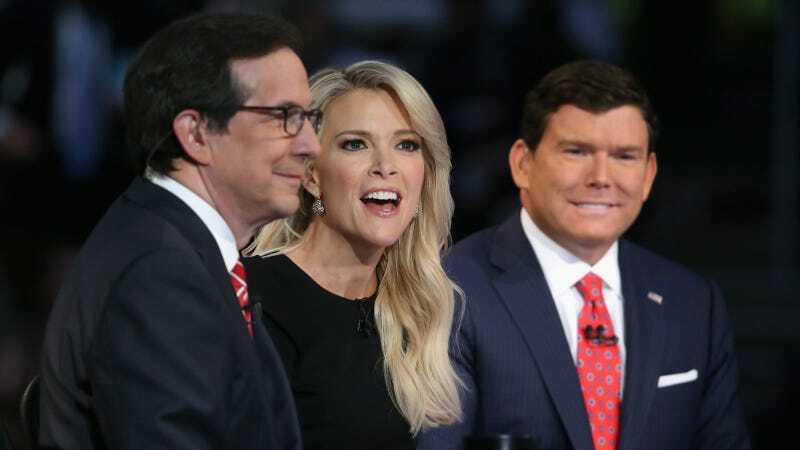 Furthermore, the progressive media watchdog found that the only network to increase coverage was Fox, but this coverage largely consisted of climate denialism and other criticisms of efforts to address climate change. ABC led the way in reduced coverage, falling by 59% between 2014 and 2015. Newsworthy climate events last year included the final version of the Obama administration's Clean Power Plan, Pope Francis' environmental encyclical and subsequent visit to the United States, Obama's rejection of the Keystone XL pipeline, and the historic Paris Agreement in which 195 countries signed on to address climate change. According to Media Matters, "when the networks did discuss climate change, they rarely addressed its impacts on national security, the economy, or public health, yet most still found time to provide a forum for climate science denial." In one positive note, the study found that CBS, NBC, and PBS, which was reviewed separately, aired a number of segments on climate science and how weather, plants, and wildlife are being impacted by changes to the climate. Overall ABC, CBS, NBC, and Fox collectively aired approximately 146 minutes of climate change coverage on their evening and Sunday news shows last year according to the study. That's less time than it takes to broadcast one football game, including commercial breaks. ABC devoted a total of 13 minutes to discussing the topic. That's about the amount of time between commercial breaks. Both ABC and Fox avoided addressing the link between climate change and extreme weather while PBS, CBS, and NBC frequently made the connection. With California gripped by a historic drought and high temperature records being broken just about every month, there were ample opportunities to draw attention to how climate change affects day to day life through the weather. As for the EPA's Clean Power Plan, the country's first federal carbon limits on power plants, Media Matters found that it received no substantial coverage on network Sunday shows and little coverage on nightly news. The Clean Power Plan was finalized in August, and it represents the biggest action ever taken by the United States to mitigate greenhouse gas emissions. PBS, often overshadowed by the major networks, led the way in covering the two biggest climate events of the year: the Paris climate summit and Pope Francis' call for climate action. The public broadcast station air 14 segments on the summit and 11 on Pope Francis' climate agenda. PBS was also the only network to report on the Obama administration's plan to reduce methane emissions and the New York Attorney General's investigation of Exxon. Basically, PBS killed it compared to the other networks when it comes to prioritizing climate coverage and offering a wide range of coverage. If you wanted biased, uninformed coverage, Fox News Sunday was your outlet. According to Media Matters, the Sunday morning show more than doubled its climate coverage from approximately 19 minutes in 2014 to approximately 39 minutes in 2015. However, 11 of the 14 climate-related segment included criticism of policies or other actions intended to fight climate change. And in one other segment, host Chris Wallace suggested climate science is still up for debate. That's one thing that's not debatable, unless you're deeply immersed in the right-wing, climate-denial spin machine.